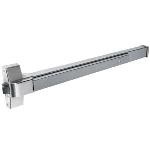 Lockey Panic Bars for 36" or 48" Doors or Gates. Select Detex Panic Bars Also Available. 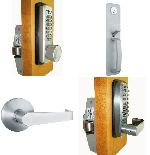 Lockey Keyless Panic Bar Locks, Non-Keyed Handles and Levers, Keyed Entry Handles. 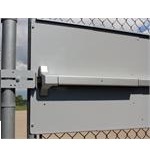 Lockey Panic Bar Shield Kits Turn Gates Into Emergency Exits. Multiple Options. 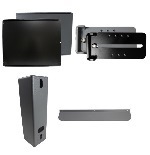 Lockey Panic Bar Mounting Shields, Strike Brackets, Keyless Lock Boxes, Panic Bar Shields and More.